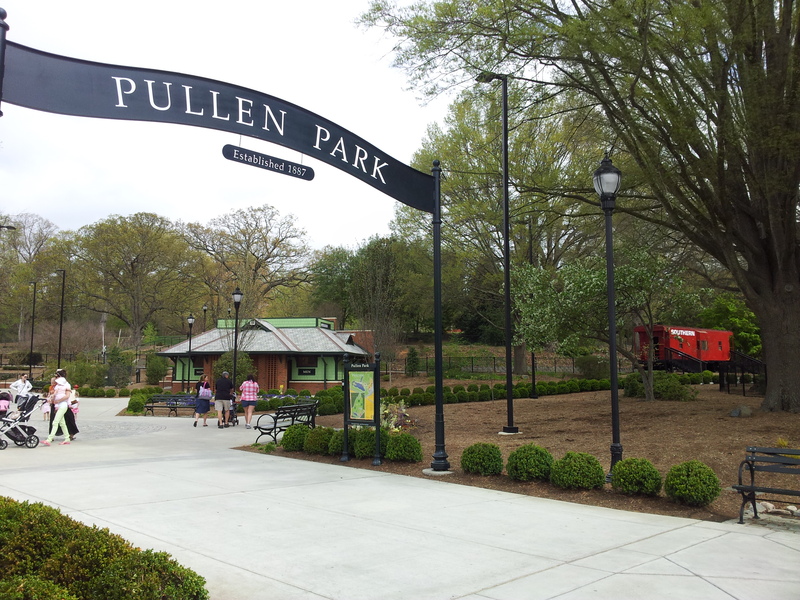 Since 1887, Pullen Park has been a magical place for families to have fun. If you are vacationing in Greater Raleigh, you must add this Raleigh landmark to your “must-see and experience” list. You could spend all day or just a few hours here, and I promise you that your children will have such a grand time that they’ll be asking you to go back the very next day. 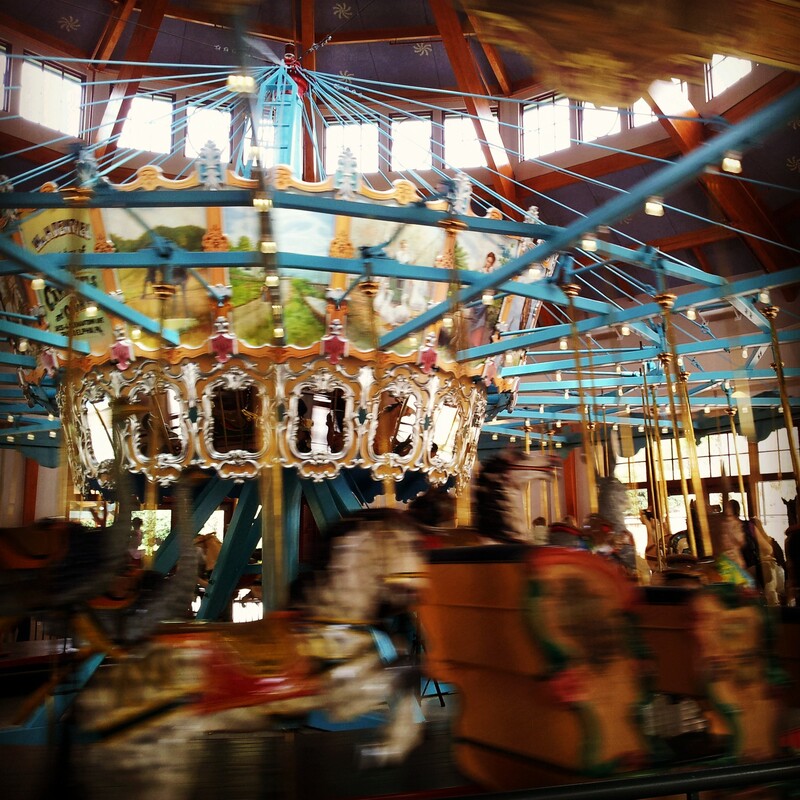 Pullen Park has the honor of being North Carolina’s first state park, and with a beautiful 1911 carousel on-site, the park is the fifth oldest operating amusement park in the U.S. and the 16th in the world. 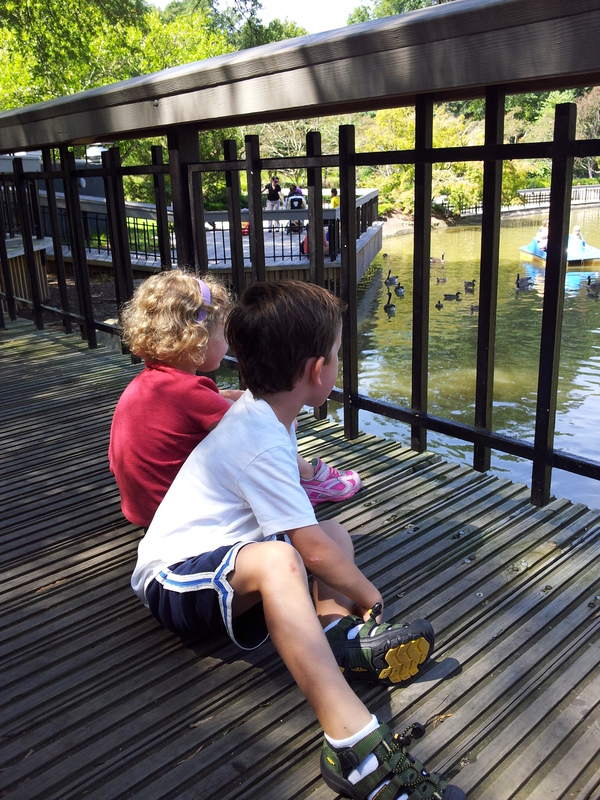 Admission is free to Pullen Park, but there is a ticket fee to ride the carousel, train and kiddie boats. Tickets can be purchased for rides at the ticket booth at the entrance to the park. Ride tickets are $1 each and each ride requires just one ticket per person for every ride. 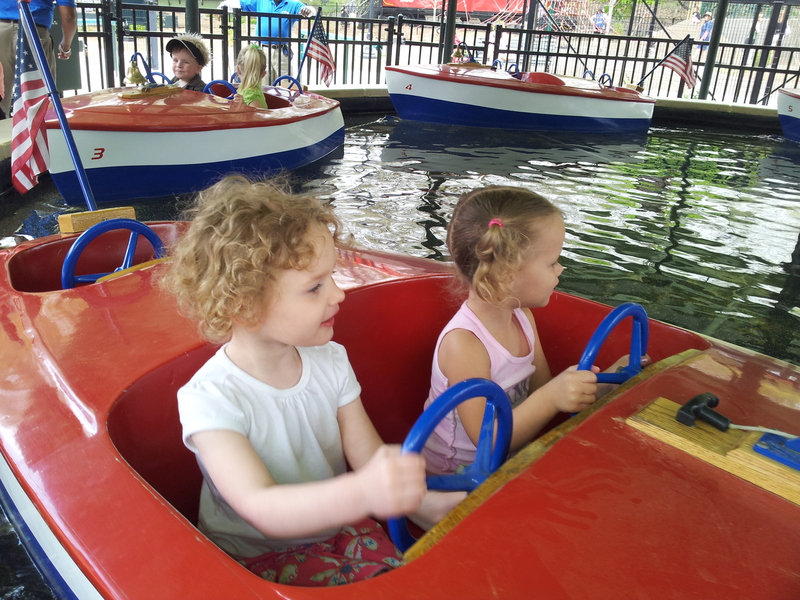 Pedal boats are also available for your family to ride across Lake Howell, which sits in the middle of the 66-acre park. Each boat will fit up to four individuals, and the cost is six tickets per half-hour ride. You can also take advantage of the many free activities in the park. There are several playgrounds for all ages to enjoy, tennis courts and lots of acres to explore on foot. 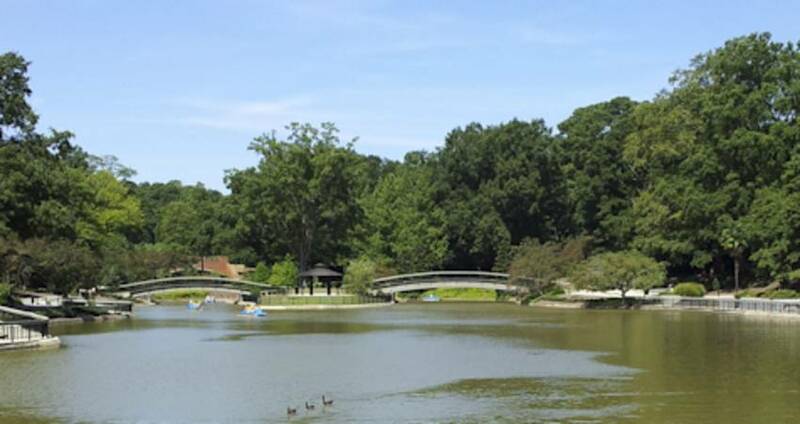 The park has several picnic tables for you to bring your own food, and it also offers visitors a chance to buy snacks and food at the Pullen Place Café. This café, which is locally-owned, serves fresh and local ingredients at an affordable price. Pullen Park also has an indoor aquatics center, but it is closed currently for renovations until Oct.
Pullen Park is situated between Western Blvd., Hillsborough St., Ashe Ave. and North Carolina State University. The physical address is 408 Ashe Ave., Raleigh, N.C. Hours vary seasonally. See you on the park&apos;s locomotive this summer. The carousel makes me dizzy, but my children love it.